Please start a new thread and post your prolem again with serial boot log, or whatever you want me to take a look. Pleas do not post booting problem in this thread. What could be the reason? Where should I look at? It is running on my productive Squeeze system. Neither /etc/modules nor /etc/initramfs/modules contain instructions for raid6. Edited 4 time(s). Last edit at 11/03/2017 02:59AM by shv. Not sure. They were not loaded in my system (Stretch). This might be a difference between Squeeze and Stretch, where Squeeze has different modules dependencies running with newer kernel. How about checking /etc/modules-load.d ? Edited 1 time(s). Last edit at 11/03/2017 03:18AM by bodhi. followed by an update of uInitrd. Edited 3 time(s). Last edit at 01/05/2018 03:19AM by sakatgg. Please make a list of which devices you need support, and I will include them in the next kernel releases. Edited 5 time(s). Last edit at 01/05/2018 04:24AM by sakatgg. This thread is for released kenels, please post question or problem in a new thread. Edited 1 time(s). Last edit at 01/05/2018 01:37PM by bodhi. root@debian:~# dmesg | grep "rtc"
And also that for the problem messages in the log related to the systemd? How to fix the problem? Thank you. "random: systemd-udevd: uninitialized urandom read"
"random: udevadm: uninitialized urandom read"
It seems that when you first turn on, the initialization of rtc-ds1307 occurs before initialization of i2c and therefore an error. We must somehow postpone the delay. [    0.280798] libata version 3.00 loaded. [   11.171427] FAT-fs (sda1): Volume was not properly unmounted. Some data may be corrupt. Please run fsck. Edited 6 time(s). Last edit at 02/16/2018 02:35PM by sakatgg. That's the RTC for this NAS I-STOR IS608 box? > from sata hdd (NAS I-STOR IS608). I'll take a look. If this change cause proble for the Akitio then we should make a new DTS (i.e. call it nas-i-stor-is608.dts or something like that). > properly unmounted. Some data may be corrupt. So does it work OK after this warning? 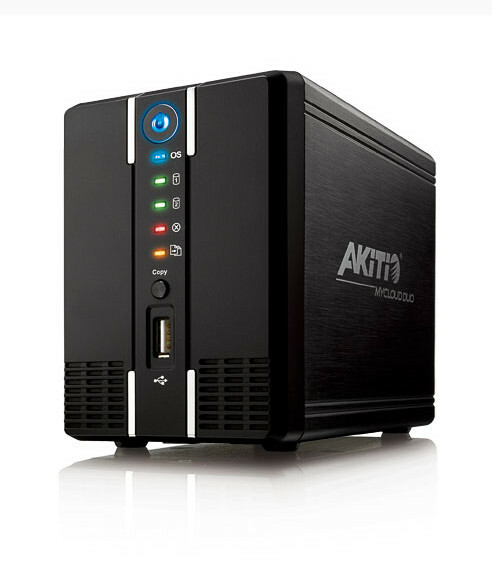 These clones are AKiTiO MyCloud Duo - Iconbit I-STOR IS608, FANTEC CL-35B2, Eminent EM4172. Yes, it will be better, I'll try to define Gpio Led and Key. Edited 4 time(s). Last edit at 02/16/2018 07:15PM by sakatgg. You should not have to change the DTS for booting SATA like that. The DTS bootargs is not relevant. The u-boot env bootargs should be modified to your specific needs. It will override whatever defintion in the DTS. OX820 # setenv bootargs "console=ttyS0,115200 root=/dev/sda2 rootfstype=ext4 ubi.mtd=data,512"
Edited 2 time(s). Last edit at 02/17/2018 07:19AM by sakatgg. I've all exported gpio 0-49 to "in" and "out" for detection. Datasheet for Oxnas (OX820) no. The turnoff turns off and then you can turn on the Power OFF / On button. Edited 3 time(s). Last edit at 02/18/2018 05:22AM by sakatgg. Nice to hear you are still working on these Oxnas devices. RTC was my problem too before and I did not find any good resolution in it. Would it work if I2C was left in kernel and RTC made as module to ensure I2C was initiated first? i2c-gpio i2c-gpio.0: using pins 41 (SDA) and 42 (SCL)"
Edited 1 time(s). Last edit at 02/23/2018 04:58AM by tilator. > to ensure I2C was initiated first? Not sure I understood how I2C related to RTC in the Akitio box? Kernel linux-4.4.117-oxnas-tld-1 package was uploaded. Please see 1st post for download link. Thanks for the updating work. Edited 3 time(s). Last edit at 03/09/2018 10:28AM by rynax. The thread is too long to read through all of it. I'm just wondering what your patches fix over the mainline and why they haven't been added to the mainline kernel. > The thread is too long to read through all of it. Yes the patches should be applied on top of the mainline source tree 4.4.117. There is already activity to mainline the OX820 SoC starting kernel 4.9.x by Neil Armstrong. Edited 2 time(s). Last edit at 03/23/2018 02:48AM by bodhi. Can you please compile support for the "cdc_ether" and "cdc_acm" modules in the kernel? I need it so I can make use of ethernet over usb and the "ethernet gadget" mode of the raspberry pi zero. > Can you please compile support for the "cdc_ether"
> "ethernet gadget" mode of the raspberry pi zero. I'm uploading a new stable kernel release that will also have supports for the CDC USB gadgets.